Below you will find list of Allison TCMs we have available. All TCMs are shipped programmed with a factory calibration for your VIN/CIN, ready for installation. All TCMs are new unless specified otherwise. 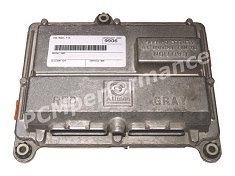 All TCMs carry 90 day exchange/replacement warranty. Free Priority Mail to USA, Express Mail available for $25. To ask any questions or place orders please email Alex at programmer@PCMperformance.com. We will need your TCM model type (WTEC3, A42, T14, etc). To program the TCM we will need (1) your VIN if it is a GM pickup / MD truck -OR- (2) CIN or ASSY# from the original TCM if it is not. In some cases we are able to map calibrations using alternate TCM hardware (T14A instead of A50, A52 instead of A51, etc).